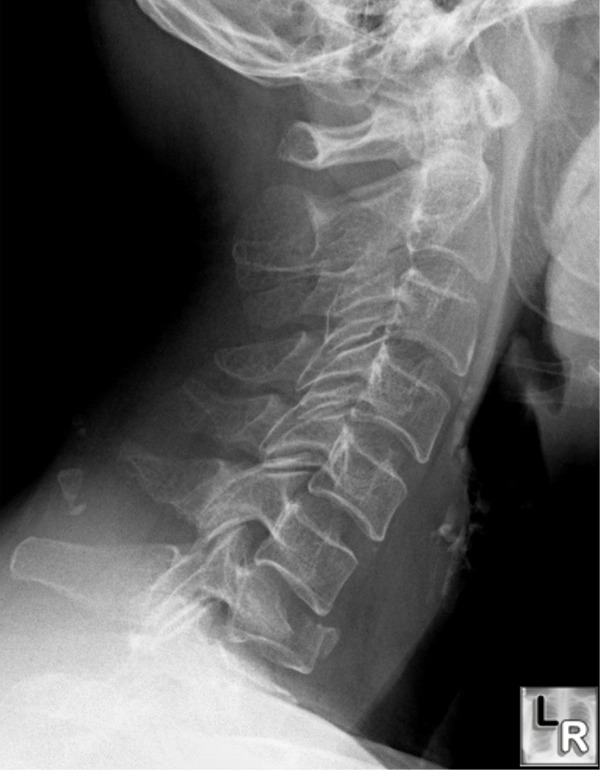 35 year fell on head now with neck pain. What’s the diagnosis? while there is slight soft tissue swelling anteriorly (white arrow).